We have two new games in our online games area - Golf and Pyramid. Play simple versions of these popular games for free online in your browser. It is great for when you are at work and without Pretty Good Solitaire. The Golf game features a hard mode and a easy mode. The easy mode is equivalent to the game Putt Putt in Pretty Good Solitaire, where you can play Kings on Aces and Aces on Kings (only Twos can be played on Aces in regular Golf, and nothing can be played on a King). Try out the new games at <http://www.goodsol.com/online>, and don't forget that you can also play the older games Klondike, FreeCell, and Spider online as well. A new Kids tile set for Pretty Good MahJongg is now available for download at <http://www.goodmj.com/pgmj/tilesets.html>. This tile set, for tile matching games only, features simple pictures of animals and objects on the tiles. This tile set is for Pretty Good MahJongg, which can be downloaded from <http://www.goodmj.com>. There has been a lot of activity in the Goodsol Forum lately, particularly in the Is It Winnable? section. There are lots of posts of games numbers of winnable positions in difficult games. If you are stuck on a game, take a look! 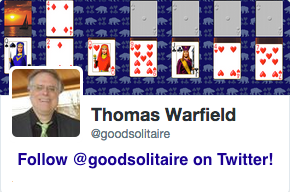 The Pretty Good Solitaire Top Scores area will soon be getting a long awaited makeover. In the upcoming version 10.0 of Pretty Good Solitaire, you will be able to submit your statistics directly from Pretty Good Solitaire (no more cutting and pasting) and the statistics pages will update immediately. The old scores lists will be phased out in favor of the new scores system. You can still submit scores as usual until version 10.0 is released. 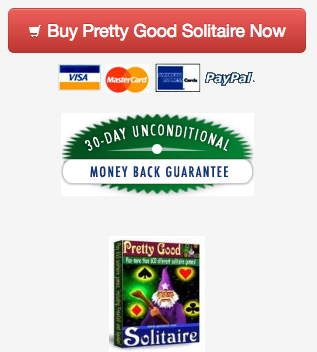 This is the last newsletter before the release of Pretty Good Solitaire 10.0. Look for the new 600 game Pretty Good Solitaire coming soon! This game is at German Patience.